I’ve been on the Royal Road of Tarot for many years with all the usual detours in focus (degrees, children, career). But once on such a path, one is always a pilgrim in some form and blessed by synchronicity. I spent the month of February preparing to teach a new on-line course focusing on writing and the tarot, Exploring the Minor Mentors of Tarot: A Tour Through the Suits (starts March 17, 2014). And then I pored over lists of carpool schedules for my three children so they’d survive the five days I’d attend my first AWP Conference in Seattle (held annually by the Association of Writers and Writing Programs—hundreds of presses, MFA program tables, thousands of writers and panels and more). Though I tucked two tarot decks into my suitcase, the full tilt itinerary meant I never had time to throw cards. But at AWP’s evening reading featuring Robert Hass, Gary Snyder and Eva Solitas, a woman cruised past me with a tarot card I had never seen before. Anchored to her lanyard by a clip and nestled smartly over her conference badge, the card featured an image of William Carlos Williams, a trio of hens (one falling off a pair of hoops in the grip of a sleek magician), and a grey wheelbarrow. “Two Sylvias Press is giving away tarot cards,” the woman told me, “stop by before they run out.” I managed to reach the table just in time to buy a deck (they sold out later that weekend). 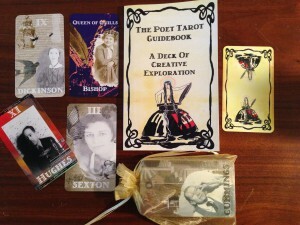 Here’s the story of how Two Sylvias press founders Annette Spaulding-Convy and Kelli Russell Agodon collaborated to create a Poet Tarot Deck complete with guidebook full of exercises meant to help writers and artists further their creative process. How did the idea for The Poet Tarot deck come about? ASC: The idea for The Poet Tarot came about in a surprising way—I awoke one Sunday morning last May with an idea for a deck that featured poets in place of the Major Arcana cards. I envisioned the suit cards (Minor Arcana) as embodying the process of creating a work of art (inspiration, creation, revision, completion). I’m not sure if I had perhaps had a dream about the deck, but I can definitely say that it appeared holistically—as a finished product. A week or so before I awoke with this idea for the deck, I had been doing some creative visualization exercises to help me with my own artistic process and, interestingly, Walt Whitman (King of Letterpresses) and Dorothy Parker (the Sun) stepped into the visualization along with two of my deceased great grandmothers, and I had a strong feeling these symbolic presences would inspire a new project for Two Sylvias Press. I emailed Kelli immediately after I jotted down an outline for the deck, and I asked her if she would like to collaborate on the project and work on the visual art and design aspects. I had a picture in my mind of what the cards would look like—vintage, retro, antique and muted colors, maybe a bit of steampunk and Victoriana. Kelli designed a test card of Edgar Allan Poe and it was absolutely perfect! From there, we drew up a list of deceased poets and matched them to the Major Arcana cards and to the Kings and Queens of each suit. Kelli designed and created the artwork for the individual cards while I hammered out the meanings and wrote the guidebook. I read in the introduction you narrowed down your choice of poets initially by choosing to represent those deceased of British and American descent, and that you were careful to represent male and female poets equally. Can you talk about poet selection and your process of writing up the descriptions and exercises for the book? ASC: One morning as Kelli and I met at a local café for breakfast, we matched a list of well-known poets (deceased and having written their poetry in English) to the traditional Major Arcana cards and to the Kings and Queens of each suit. Some of these match-ups were obvious—Edgar Allan Poe as the Devil (XV), Emily Dickinson as the Hermit (IX), Sylvia Plath as the Moon (XVIII), Robert Lowell as the Tower (XVI) and some took a little more thought—Edna St. Vincent Millay as the Wheel of Fortune (X), Elizabeth Bishop as the Queen of Quills, Denise Levertov as the World (XXI), and William Butler Yeats as Death (XIII). We basically considered the qualities and personality traits of each poet and the general thematic nature of his/her poetry and how these correlated with the archetypal meaning of the traditional tarot cards. Later, I scheduled three weeks (or more if needed) to work exclusively on the guidebook. I tend to work best in an obsessive and uninterrupted way. I have a very understanding family, so they knew that this meant that I would be parked on the couch near the woodstove day and night until the guidebook was complete, and as far as food and everything else, they would be on their own. In a meditative and contemplative spirit, I tried to get in touch with each poet and with each suit card—I read the poet’s full bio, read over many of his/her famous and obscure poems, reread a brief explanation of the traditional meaning of the tarot card the poet represented, and then I attempted to let the new interpretation of the card flow in an organic manner. It was an intense experience, almost like being on a very focused spiritual retreat—I loved it! If you were to make a second, feral deck, without such constraints, whom else would you love to include (for a living poets’ deck)? ASC: I imagine in a living poets’ deck—Olena Kalytiak Davis as the Chariot, Cate Marvin as the Tower, Richard Siken as the Hierophant, and Marie Howe as the High Priestess. My imagination goes wild with this question as there are so many amazing contemporary poets whose work I truly admire. One more—I think Jane Hirshfield would be an awesome Temperance. KA: For a living deck, I’d love to include Denise Duhamel as the Wheel of Fortune, Kay Ryan as the Hermit, and Li-Young Lee as the Moon. They are three of my favorite poets, each very different in style from each other and I’d love to highlight them so more people could learn about their work. In another deck of dead poets, I would love to include Pablo Neruda for the Lovers card. He is a poet I’ve always connected with. How did you arrive at the artwork? KA: Besides the research, the process was very organic and instinctual. Annette made me a list of the Major Arcana and suit cards with key words for me to consider as I created each card. With the poet cards, many times I wanted to include an image that represented them or their work, such as a bell jar for Sylvia Plath or a wheelbarrow with chickens for William Carlos Williams. With the suit cards, I read each description such as “a new idea, a sense of adventure, beginning to plan and make progress, discovery, etc.” and found vintage images that I connected with the essence of the card to create a visual image that was informed by this information. My goal was always to rely on instinct and to try to create beauty with each card. Can you talk about your (wonderful) translations of the suits and why you chose them? ASC: When I came up with the idea for the deck, I knew I wanted the suit cards to reflect the process of creativity, and I wanted “creativity” to apply to other arts as well as writing. In looking at the Tarot’s traditional suit cards—Cups, Wands, Swords, and Pentacles—I saw how each could be transformed to symbolize stages of the artistic process. Cups became Muses (inspiration), Wands became Quills (creation), Swords became Mentors (revision), and Pentacles became Letterpresses (completion). Kelli came up with the wonderful visual representation of each suit—birds, feather quills, keys, and antique letterpresses. What is your own background to working with the tarot? ASC: I was first introduced to the cards by a friend in college who used The Aquarian Tarot. She taught me how to do some basic layouts and I admired her intuitive interpretation (she didn’t always rely on the guidebook). Fourteen years later, I ended up marrying her brother, so I like to believe a little magic was involved in our meeting! Throughout the years, I’ve bought or have been given various fascinating decks based on fairytales, Egyptian deities, Renaissance figures, medicine animals, ancient goddesses, and I did once own a Rider-Waite deck. I’ve never really used tarot in a divinatory manner, but have found that the cards work in a synchronistic way by offering me insight regarding my current spiritual and/or psychological states. KA: Tarot cards were first introduced to me about fifteen years ago by a friend who was a reader. While I never moved as deeply into them as others (learning their history, feeling comfortable with what each card represents without a guidebook, etc. ), I do have quite a few sets I rely one when I need guidance. I have always loved the beauty of the cards and how they give me something to meditate on. They have a mystical element that sometimes feels missing from our regular world, so I return to them for that. I feel they allow me to look both inward and outward at my own life, which I appreciate. How long did it take you from beginning to end of the project? KA: Creating the cards, especially the ones with images of the poets on them, was incredibly time consuming. I would say, it took nine months in the actual graphic design and revision of the cards, but Annette and I talked about the project for quite a while before we moved into the actual work of creating them. Annette and I are writers, poets, and editors, so we knew how to make and edit books, but actual cards were a new format for us, so there was a lot of research involved. Have you worked with the deck yourself yet and what impact has it had on your writing life? (Or night time dream life—asking as a long time reader of the tarot, so tarot occasionally figures in my dreams). ASC: We were still working on the deck until its release at the AWP (Association of Writers and Writing Programs) conference in Seattle at the end of February, so I feel like I haven’t yet had time to relax, do a reading for myself and focus on my own creative work. I know I love how the cards look and feel in my hands, though because I wrote the guidebook, sometimes when I look at it, I’m distracted with the desire to revise (Mentors)! I did have some odd dreams and experiences with the poets as I was putting together the guidebook. One interesting thing occurred as I was writing the Two Card Reading on page 74 of the guidebook. I randomly chose Marianne Moore and the Six of Muses from the deck to use as an example for the reading. Interpreted together, these two cards deal with writing objectively and in a balanced manner about your past (which is applicable to me since I’m writing a current manuscript dealing with family history). Yesterday I decided to do this reading again (choosing two cards) and use the random cards in a piece that I’m writing about The Poet Tarot. I was stunned because I drew Marianne Moore and the Six of Muses—again! KA: When I was creating the Frank O’Hara card, he was visiting me in my dreams. I was also finishing up a manuscript called Hourglass Museum (published by White Pine Press) at the same time and Frank was also a museum curator, so for quite a few months, I felt his presence. Anne Sexton and Sylvia Plath were two other poets who frequented my dreams during this process, always in a very positive way and I was encouraged by this. The deck is still so very new to us; I have yet to use it in the creation of a manuscript, but do plan to. One interesting anecdote was that before I left for the AWP conference (a huge academic writer’s conference with panels, an enormous bookfair, and about 12,000 people), I chose a card asking for information that would be helpful for me as I went into AWP. I chose E. E. Cummings, the Fool, a card completely about being in the moment, a free-spirit, new beginnings, and letting all anxiety go. I could not have drawn a better card. Any feedback from writers using the deck yet? KA: We haven’t received much feedback yet as The Poet Tarot has only been in people’s hands for about 3-5 days since the AWP conference, but I read this lovely review of our deck here The Poet Tarot: A Divinatory Tool for Poets and Writers. 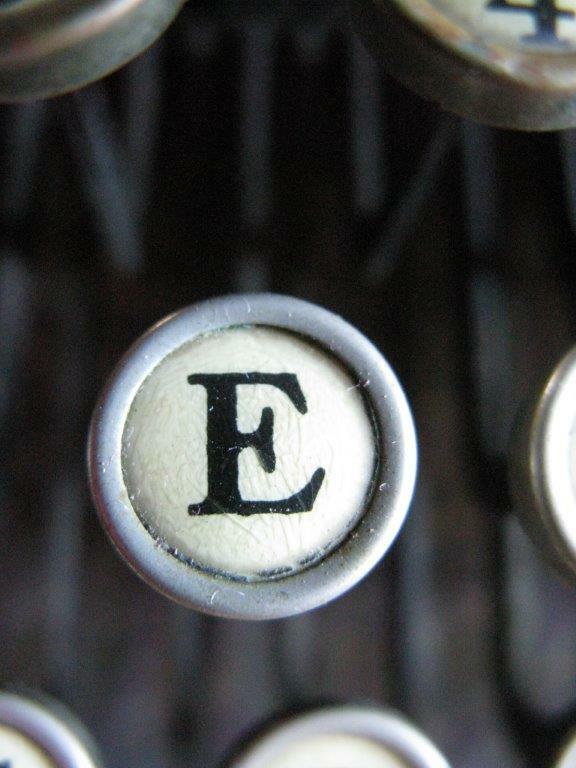 Anything else you’d like to add about Two Sylvia’s press? KA: First, I’d love to thank you for your interest in our cards and in our press. We are a young press that chooses projects we are passionate about and offers art and beauty to the world. We have a feminist slant and a belief that women should support women, though we are open to publishing men as well. 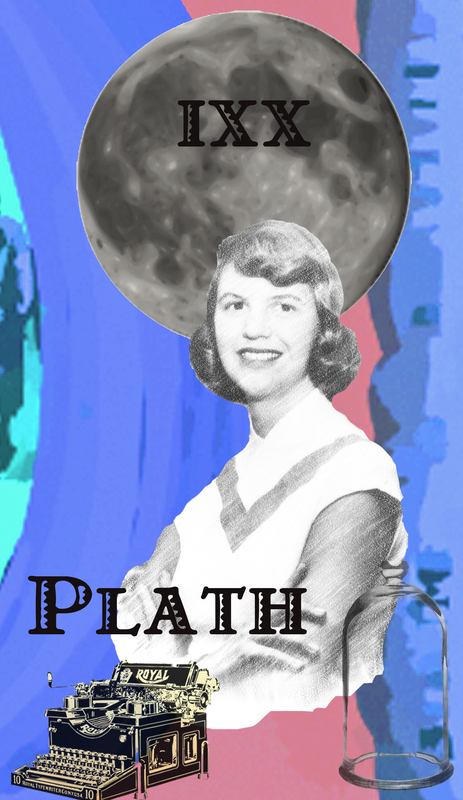 The name Two Sylvias Press came from wanting to incorporate the creativity of Sylvia Plath (poet) with the business sense of Sylvia Beach (editor), and the ultimate trust that great writing is good for the world. We have published the first eBook anthology of contemporary women’s poetry, Fire On Her Tongue, and we have released a poetry exercise book, The Daily Poet. We are in the process of publishing some wonderful poetry collections as well as more writing resource books. It’s been a whirlwind of a year for us and we are so thrilled people are as excited about The Poet Tarot as we are. It has been a project from the heart and a complete labor of love. Thank you again for finding us! Annette Spaulding-Convy’s full length collection, In Broken Latin, is published by the University of Arkansas Press (Fall 2012) as a finalist for the Miller Williams Poetry Prize. Her chapbook, In The Convent We Become Clouds, won the 2006 Floating Bridge Press Chapbook Award and was nominated for a Pushcart Prize. Her poems have appeared in Prairie Schooner, North American Review, Crab Orchard Review and in the International Feminist Journal of Politics, among others. She is co-founder of Two Sylvias Press, which has published the first eBook anthology of contemporary women’s poetry, Fire On Her Tongue. Annette is also the co-founder of Kingston Artist Tree: A Visual Art and Writing Collaborative, and was head co-editor of the literary journal, Crab Creek Review. Kelli Russell Agodon is a prize-winning poet, writer, and editor from the Northwest. 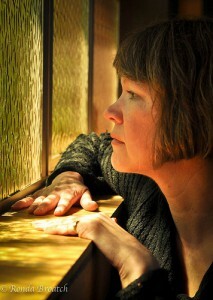 She is the author of Letters from the Emily Dickinson Room (White Pine Press, 2010), Winner of the ForeWord Magazine Book of the Year Prize in Poetry and a Finalist for the Washington State Book Award. 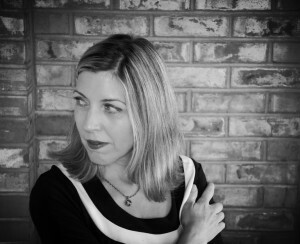 She is also the author of Small Knots (2004) and the chapbook, Geography (2003). She co-edited the first eBook anthology of contemporary women’s poetry, Fire On Her Tongue and recently published The Daily Poet, a book of poetry writing exercises she coauthored with Martha Silano. Her third collection collection of poems, Hourglass Museum, was recently published by White Pine Press. Kelli is the co-founder of Two Sylvias Press and was the editor of Seattle’s literary journal, Crab Creek Review for the last six years. She never underestimates the power of museums and good dessert to heal what ails. The Poet Tarot and Guidebook sold out at AWP, but Annette assures me a link to a Kickstarter campaign on Facebook is forthcoming; or if you can wait a couple of months, check back at Two Sylvias Press website to order the deck. I’ll update here too as I get more information. March 17, 2014 update: Here’s the link to The Poet Tarot Facebook Kickstarter campaign.